A confidential government document obtained by CBC News warns the Harper government has been slow to open new markets in Asia and calls for deeper ties to emerging markets "even where political interests or values may not align." A confidential government document obtained by CBC News warns the Harper government has been slow to open new markets in Asia, leaving Canada firmly tied to the troubled U.S. economy for a long time to come. The document prepared by Foreign Affairs and dated Sept. 6 is a draft of a highly classified new "Canadian foreign policy plan" the Conservative government has been preparing for more than a year. The draft briefing paper for the federal cabinet states: "We need to be frank with ourselves — our influence and credibility with some of these new and emerging powers is not as strong as it needs to be and could be. "Canada's record over past decades has been to arrive late in some key emerging markets. We cannot do so in the future." The Harper government itself took the slow road to China. 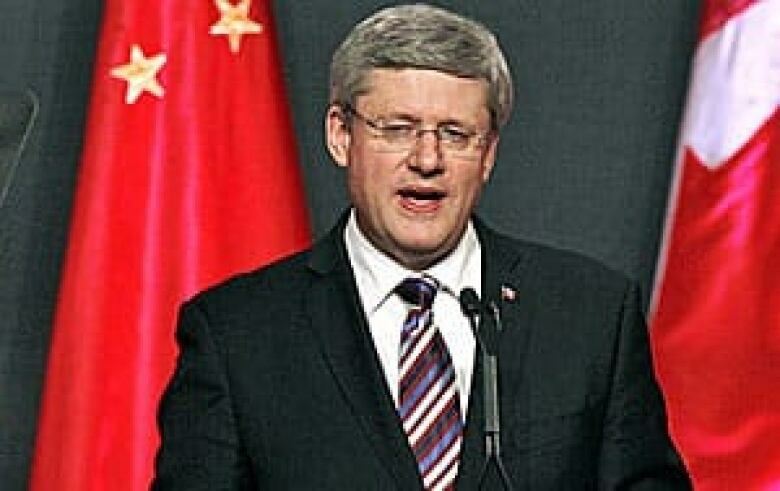 Prime Minister Stephen Harper didn’t visit Beijing for almost four years after first being elected in 2006. Now the Harper government wants to focus Canada's international efforts primarily on one goal: forging new trade deals and business opportunities in the rapidly expanding markets of Asia and South America. The draft plan for a new foreign policy states: "The situation is stark: Canada's trade and investment relations with new economies, leading with Asia, must deepen, and as a country we must become more relevant to our new partners." The document makes scant mention of Canada's traditional roles as peacemakers in war zones like Afghanistan, foreign aid providers in disasters such as Haiti, and everywhere represented by a highly respected diplomatic corps. It also drops any pretense of using trade deals to pressure countries such as China on human rights and other matters of democratic principle. On the contrary: "To succeed we will need to pursue political relationships in tandem with economic interests even where political interests or values may not align." Instead, the draft doctrine is mainly about money, recasting Canada's international role from aiding the world's needy to reaping its riches. That's in stark contrast to Harper's views of China when he first came to office. "I think Canadians want us to promote our trade relations worldwide and we do that," the prime minister said in November, 2006. "But I don't think Canadians want us to sell out important Canadian values, our belief in democracy, freedom, human rights. They don't want to sell that out to the almighty dollar." Six years later, almost every aspect of the Harper government's international plan casts foreign policy as a tool to give Canada either direct economic benefit or access to China and other emerging markets. For example: While the Harper government has never been a fan of the United Nations, the new foreign policy promotes the UN as a means to "provide Canada with vital opportunities" to engage with emerging economies. Similarly, "our effort to build a faster and more flexible economic immigration system (is) to address first and foremost our own economic and demographic needs." That includes "attracting immigrants, students and temporary workers that can best contribute to economic opportunity in Canada." Even some of Canada's military missions and foreign aid projects will be driven by domestic economic considerations. "While Canada may participate, with its allies, in international security missions for broader strategic or other reasons, security and development engagements in key countries of interest will seek to address Canada’s domestic security, economic and other priorities." The Arctic is becoming another tool of economic diplomacy. The new foreign policy states: "Canada's international agenda will increasingly be shaped by ... the interest non-Arctic nations, including China, are showing" in northern resource development. 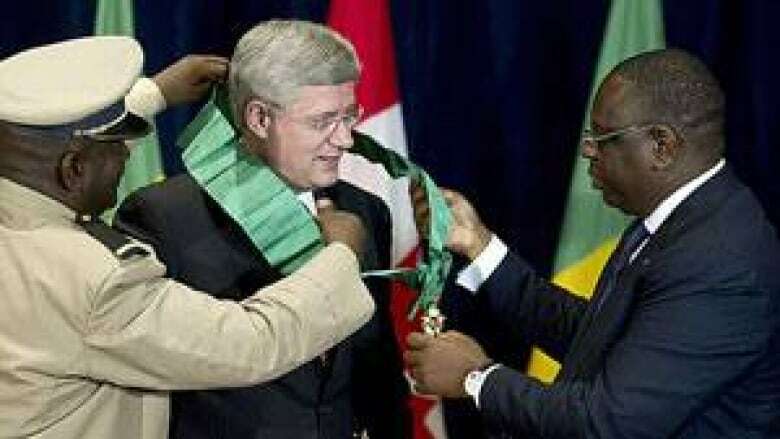 Then there's Africa, until recently a continent all but ignored by the Harper government. The new Canadian foreign policy plan notes that while Africa is rife with "many health, education, political and security challenges," it also has the world's fastest growing middle-class of consumers in countries richly endowed with natural resources. "The fact remains that, over time, African countries have the potential to challenge the likes of Brazil and China as major investment destinations." Despite all the focus on joining the global gold rush to bourgeoning markets in Asia, South America and Africa, the new foreign policy embraces a continuing close relationship with the U.S., regardless of its deeply troubled economy. "We conclude that the U.S. will remain our bedrock partner," the document states in bold letters for emphasis. "We share common values, a common border and continent, and integrated security, economic and other linkages." The briefing document points out that despite the ongoing economic slump south of the border, the U.S. still buys 74 per cent of all of Canada’s worldwide merchandise exports. That's more than 20 times Canada's equivalent trade with China. Should Canada seek deeper economic ties with China? It also notes Canada is America's largest and most reliable energy supplier. The brief does blame the U.S. for delaying Canada's entry into the Trans-Pacific Partnership negotiations towards a possible trade deal the Harper government views as critical to opening Asian markets. It also bemoans the Obama administration's decision to postpone approval of the Keystone XL pipeline from Alberta to Texas. And it predicts Canadian interests will similarly "continue to be affected by internal U.S. politics or narrow interests." Nonetheless, "it is critical that we do not lose sight of the fact that our relationship with the United States is overall highly beneficial, and the vast majority of our trade is irritant-free." CBC News requested government comment on the draft policy. But a spokesman would not go into specifics. "We don't comment on leaked documents," said Rick Roth, the press secretary for Foreign Affairs Minister John Baird in emailed comments. "Canada continues to pursue a principled foreign policy that is advancing Canadian interests and Canadian values," he added. "Since 2006 we have signed nine free trade agreements and are negotiating dozens more. Through these we are opening foreign markets, increasing Canadian exports and creating Canadian jobs."